TriMet’s Bus Operator Continuous Improvement Team was honored today at the 2015 Oregon Governor’s Occupational Safety and Health (GOSH) Conference. The TriMet team won a Safety and Health Advocate award for “extraordinary contributions to the field of workplace safety and health,” according to the Oregon Occupational Safety and Health Division (Oregon OSHA). 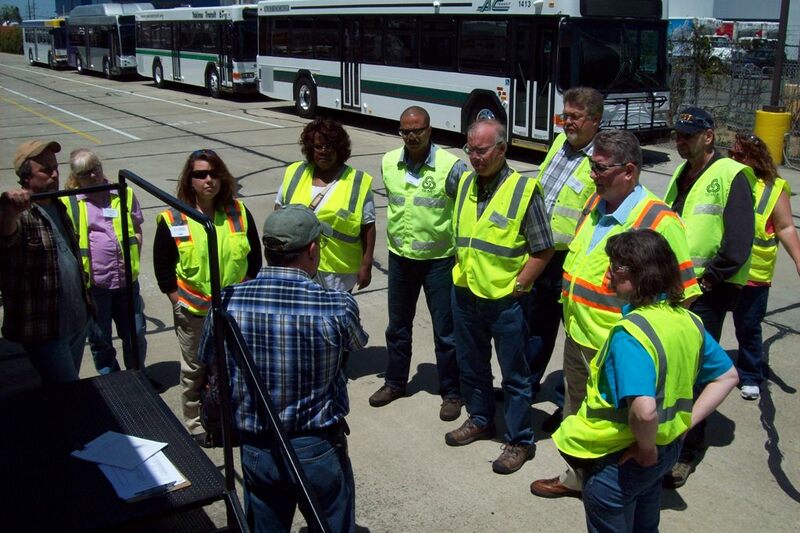 The Bus Operator Continuous Improvement Team is a 15-member team that was started in 2014. It is made up of bus operators, safety personnel, TriMet managers and other staff. The team meets monthly to address issues and identify possible changes that could improve buses and other work environments for our operators. The team’s efforts have led to a better ergonomic design of the operator’s compartment on our newest buses. This includes a smaller, 18-inch steering wheel, more easily accessible turn signal switch and kneeling switch locations, and adjustments to the pressure required for the accelerator pedal, as well as other changes. The team’s work also benefits riders. For example, the team asked for the external “porch light” that is at the rear door of our newer buses. TriMet Safety Manager and facilitator of the Bus Operator Improvement Committee Team Robb Potts says the team has been very productive and has improved communication between TriMet managers and all bus operators, not just those who serve on the team. 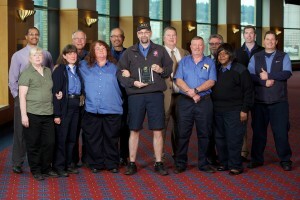 Team member Rolynd Puckett, a TriMet Gold Master Operator for his exemplar record of safety driving and stellar customer service, accepted the award on behalf of the team at the GOSH awards luncheon at the Oregon Convention Center today. For more information about the conference is on the GOSH website, www.oregongosh.com.